The Trust for Public Land is also working with the School District of Philadelphia and the Philadelphia Water Department to evaluate potential stormwater management practices for the 1.4-acre schoolyard lot. Since Anderson's basement frequently floods during heavy rainfall, directing stormwater away from the building is an important priority for the schoolyard design. 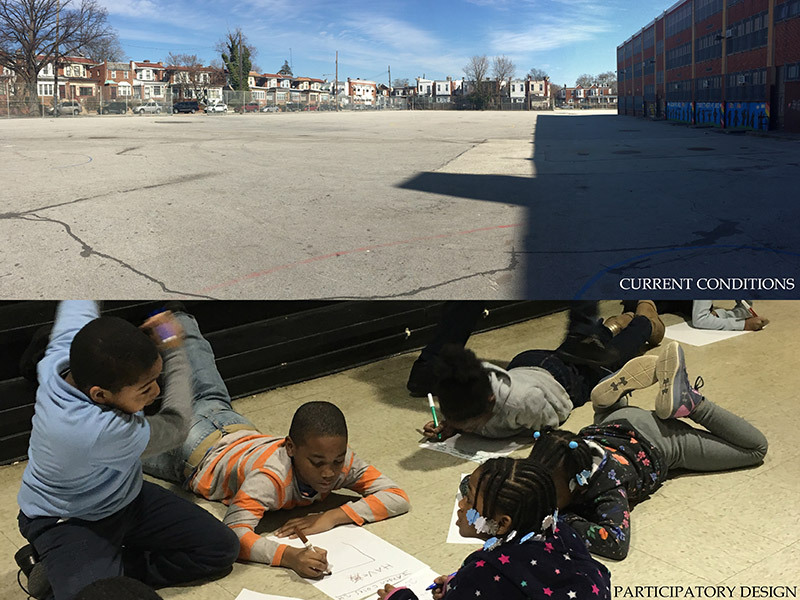 We are currently leading a 14-week participatory design class where we work with community members, students, and staff at Add B. Anderson to design the best schoolyard for their needs. Since many students have parents and grandparents who also attended Anderson, we look forward to creating a beautiful, green, and playful learning space for the Cobb's Creek community to enjoy for generations to come.